Dialogue is a unique tool for writers which makes screenwriting easy and enjoyable. 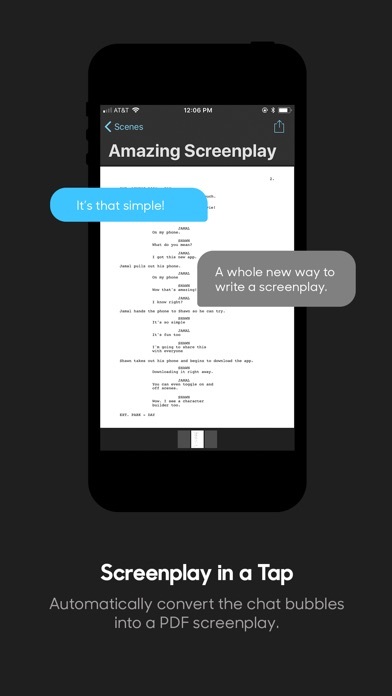 Writers can then format the screenplay into a PDF or convert the text content as fountain script. Current Features Include: - Ability to create characters and identify character dialogue count. 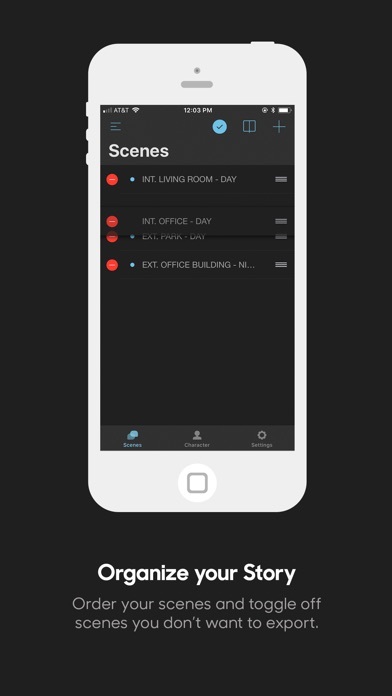 - Create and organize scenes. - Predictive chat automatically selects previous speaking character. 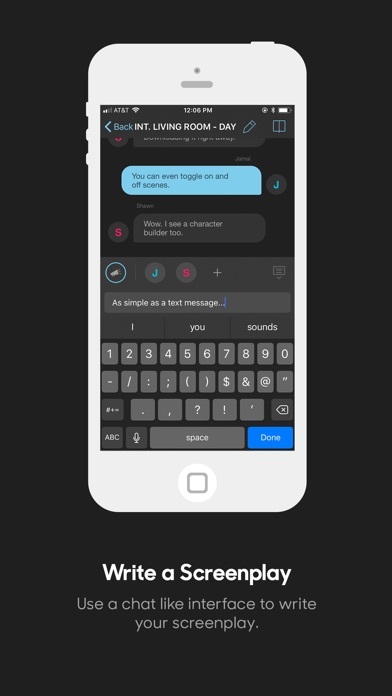 - Speech-to-text allows you to dictate your characters dialogue. - Ability to reorder chat bubbles. - Convert screenplay to PDF or export to fountain script for desktop. - Character builder to create unique avatars for characters. - Image import for character avatars. - Entry version that can be upgraded. - Simple on-boarding to quickly get into screenwriter. - Dark theme to make writing enjoyable day and night.